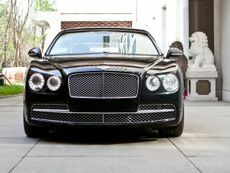 The Bentley Mulsanne is a luxury limousine that is so aspirational, only a Rolls Royce Phantom can match it for exclusivity. It majors on comfort and quality – just like it should – and it makes its occupant feel special in a way that very few other cars can. The Bentayga is Bentley’s first ever foray into the world of luxury SUVs, and while it follows in the footsteps of Porsche with the Cayenne, it has no real rivals, for now at least. This version of the Bentley Bentayga is the first diesel-engined car to be sold in the company’s 97-year history. A black badge, black grille and re-profiled exhausts are all that visually distinguishes it from its petrol-powered counterpart. 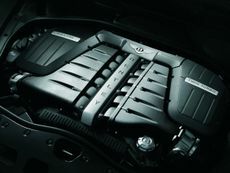 The Bentley Flying Spur is a luxury four-door limousine that majors on quality, luxury and dynamic prowess. It costs a fair bit more than a Mercedes S-Class or Audi A8, but is it worth the extra outlay? We drive the new Bentley Bentayga in a Californian desert to find out if the world’s fastest, most powerful and luxurious SUV really can live up to its stellar billing. Read the Bentley Continental Supersports convertible (2010 - ) car review by Auto Trader's motoring experts, covering price, specification, running costs, practicality, safety and how it drives. 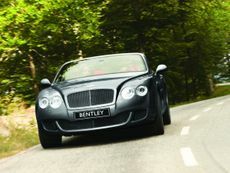 Read the Bentley Continental GTC convertible (2006 - 2011) car review by Auto Trader's motoring experts, covering price, specification, running costs, practicality, safety and how it drives. 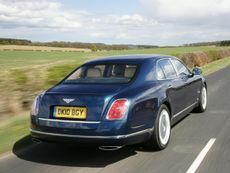 Read the Bentley Mulsanne saloon (2010 - ) car review by Auto Trader's motoring experts, covering price, specification, running costs, practicality, safety and how it drives. 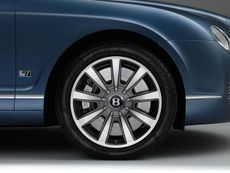 Read the Bentley Continental Flying Spur saloon (2005 - ) car review by Auto Trader's motoring experts, covering price, specification, running costs, practicality, safety and how it drives.